Linkin Park recently unleashed a video game for their song “Guilty All the Same,” eschewing the typical rock video that accompanies a new single. The response to the video game has been extremely positive, with thousands of fans have letting the guys know they dig the song and video game, which gives fans the chance to remix the video. Now, Linkin Park is kicking off a special contest, and the winners will get their remixed versions of the game displayed at the annual Electronic Entertainment Expo in Los Angeles in June. Fans may play and modify the “Guilty All the Same” music video game via the Project Spark website. Those who wish to send in their version of the game may do so following some instruction on the website of how to share your version with Linkin Park. 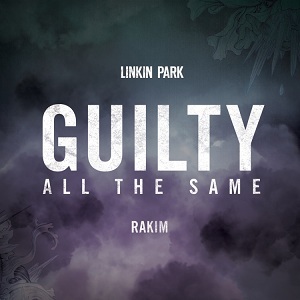 To enter your remixed version of “Guilty All the Same” in the contest, follow these steps: Include [LP] in your level name for inclusion in the special LinkinSpark feed, use the hashtag #linkinspark on social media to let the world know what you’ve created and create a video of your remix for inclusion on the Linkin Spark Upload channel and the Project Spark YouTube channel. “The Hunting Party” will arrive on June 17.